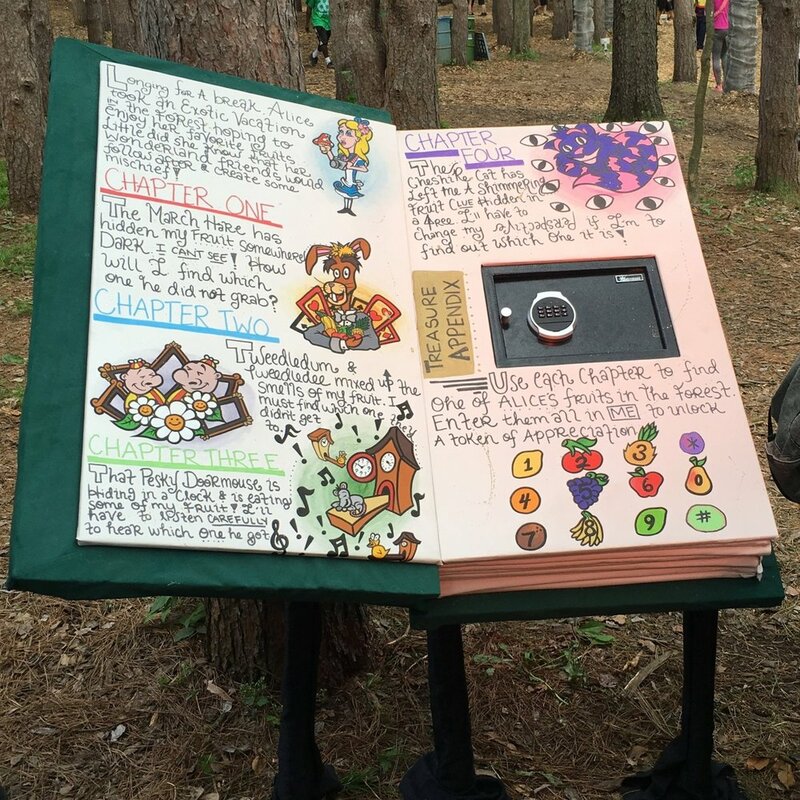 The Alice Book puzzle was an adventure quest installed in the thick wooded forest of Electric Forest Festival. The book itself was made from lumber and canvas and had a story that gave clues to each of the four mini puzzles. The mini puzzles required participants to use their sense of touch, of smell, of hearing and of sight to discover an answer at each of the four mini puzzle locations around the forest. The answer to each puzzle was a different fruit and when all puzzles were solved, the combination of fruits could be keyed into the countersunk hotel-style safe in the book to unlock a cache of stickers for the event guests who solved it.